Yesterday I had a great ride through Astoria. It was our first nice weekend day in seven or eight months. Still chilly...not quite warm enough for kickball, but good for a ride. Half the ride was documented from my Instagram account. If you see things of interest and photograph same with pre-selected filters created by others applied to them, feel free to friend me. After the ride, which I chose over the gymnasium 'cause being stuck inside to exercise when it's that great outside is dumb, I wanted a healthy dinner. 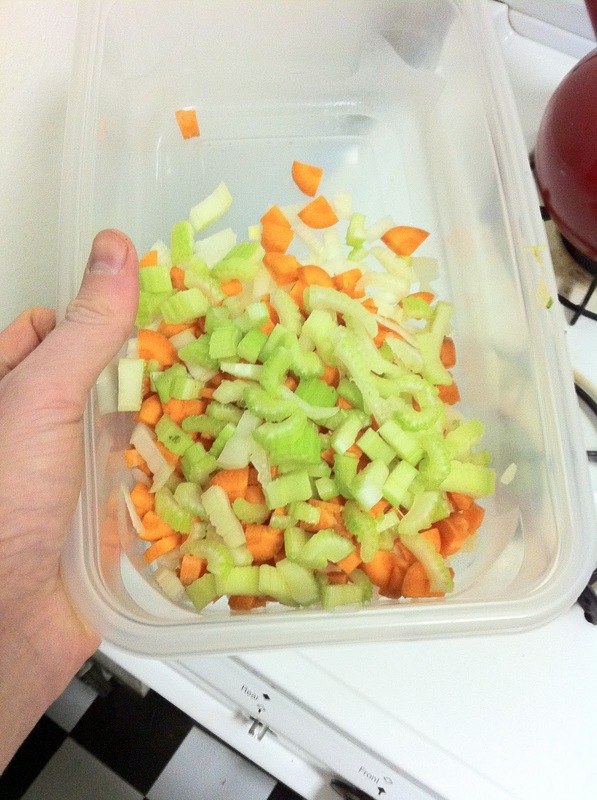 Knowing I had the ingredients for mirepoix in the house and having not made chicken in a while, my decision was made! 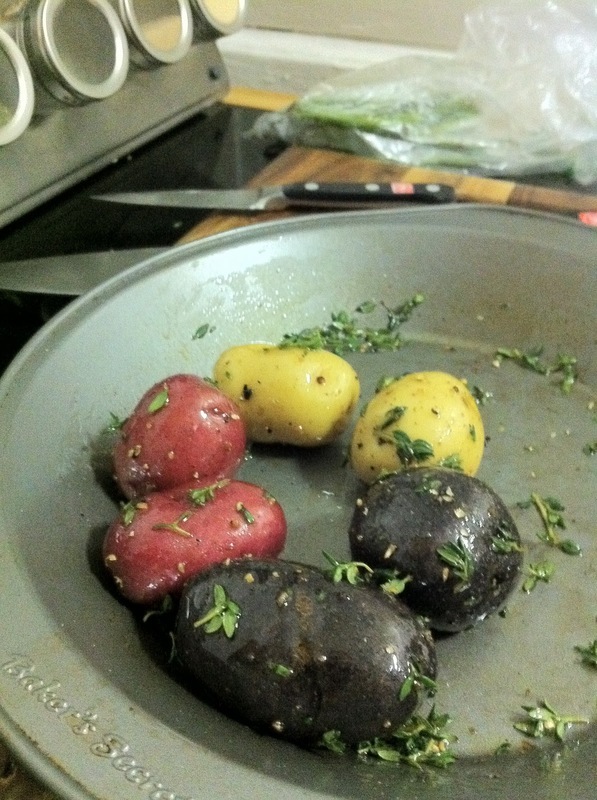 Stumbled upon a bag of yukon gold, blue, and red skin potatoes. Completed the meal with green beans! Minus a few details, any photograph of mirepoix you see will look essentially like this. Here I pre-heated my oven to 400, coated the potatoes in fresh thyme and olive oil, coated with salt and pepper, and put in the oven for about 35 minutes. These are obviously small potatoes. 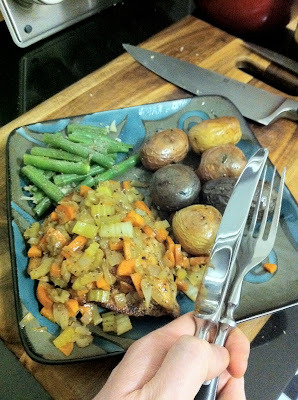 While I was cooking these I prepared the rest of the meal. I always want to shout "GREEN BEANS!!!" 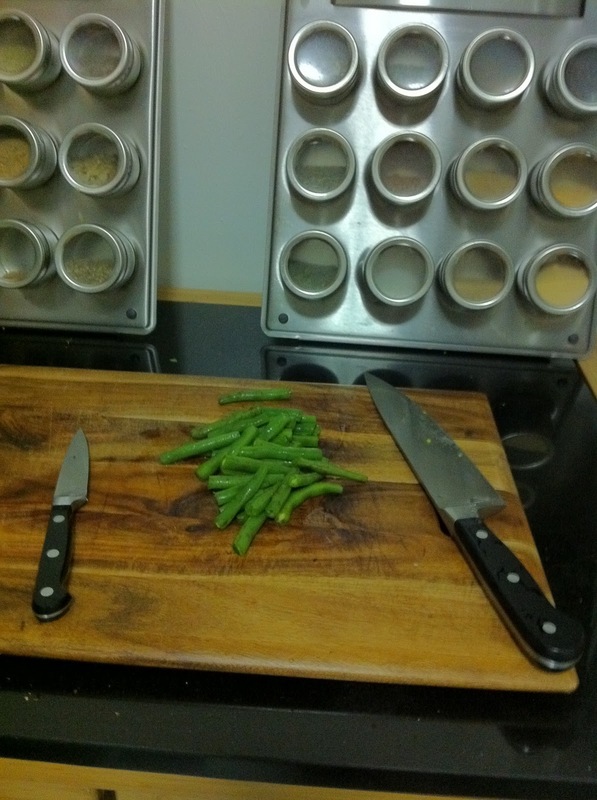 when I'm done prepping. Much like I shout "TOAST!!!" when I hear the toast pop up. 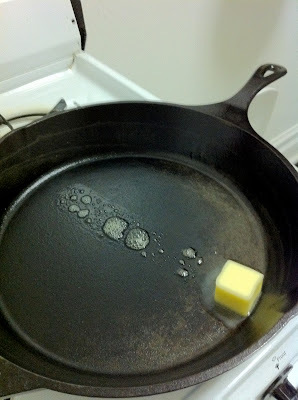 My cast iron skillet is well-seasoned, but I wanted to get some buttery flavour in there. 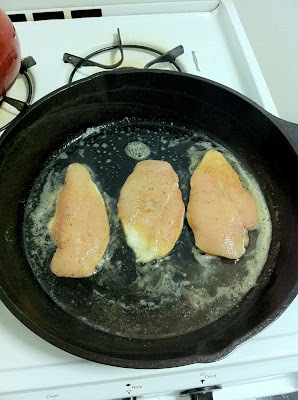 Once I melted the butter, I added some seasoned (in salt and pepper) boneless, skinless chicken breasts. 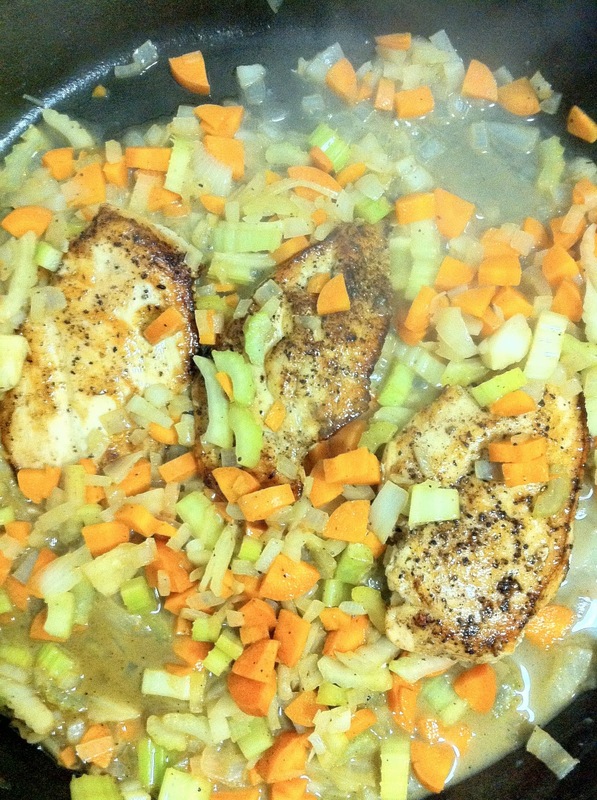 Now, I've heard that the chicken "cutlet' is a terminology peculiar to New York City or New England. 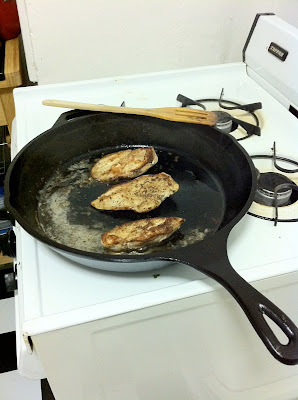 If any experts out there would like to let me know the distribution and origin of the term "chicken cutlet" in comments, it would be much appreciated. Browning the chicken on the other side. 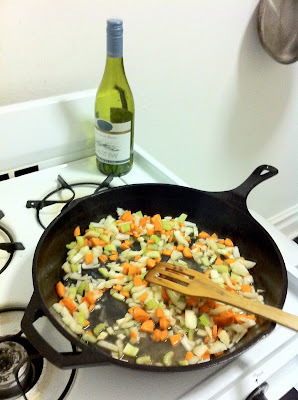 Remove chicken, deglaze with the wine, then add the chopped mirepoix. 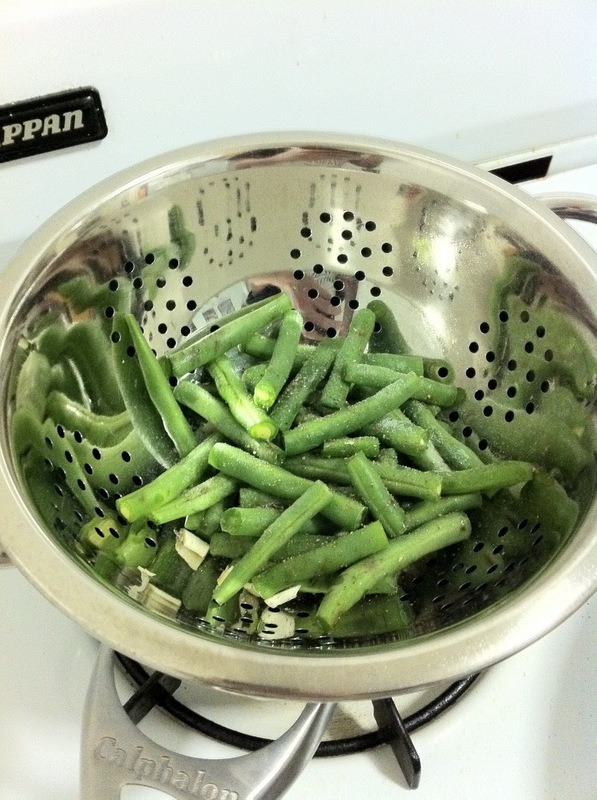 Steamed the hell out of these green beans. Put the minced garlic underneath, then covered for 15 minutes over simmering water. After 15 minutes, add the chicken back to the skillet. Cook an additional ten minutes. When you're done, you have a beautiful, flavourful, healthy meal prepared in less than 40 minutes. Your soundtrack for this entry is: SABABA - Pelvic Exam.